All sales are approved in WYOMING. All disputes are handled in WYOMING. CLICK HERE FOR ALL NEW TOYS! Click Here for Pre-Packed New Clothing! Se@rs and JCP Shoes: $2.99 per pair! Disney Electronics with Warranty by Pallet! Click Here for Canada Merchandise! A Low $2.25 per piece! Tommy, CK and more. $2.99 per pair! Energie and Miss Sixty Jeans! Von Dutch Men & Women Jeans! Kmrt Pallets from PA, IL, NV and GA! Start at $135 per pallet! and Truckloads! Call for Details!!! Interested in Adult DVD & VHS Movies? Only $1.75 each! Click Here! Welcome to USS Enterprise. We are your #1 source for Closeouts, Liquidation, Overstock, Surplus, Excess Inventory, Below Wholesale, Overruns, Distressed Goods, Department Store Returns and Salvage Merchandise. We have dealt throughout America and the entire world for over 15 years with Wholesalers, Retailers, Importers, Exporters, Brokers, Auctioneers, Distributors, Thrift Shops and Flea Market Vendors. We always have Liquidation and Surplus Closeouts available to you at Pennies on the Wholesale Dollar by the pallet, lot or the truckloads. These Overstock Liquidation and Store Returns Closeouts truckloads come directly from the Department Store Distribution Centers to you. Urban Wear: Sean John/Rocawear. Call for details. High End Costume Jewelry: All New Anne Klein, Liz Claiborne, Mary Kate & Ashley, X-Mas Items, Disney, Joan Rivers, Hip Hop, Cubic Zirconia, Hello Kitty and much more. Email or call us for the entire Costume Jewelry list. We have rings, necklaces, bracelets, earrings and so much more! Contact us and find out. F.O.B. FL. New Look-A-Like Sneakers: NIKE, REEBOK, ADIDAS, FILA, FUBU, SKETCHERS look-a-likes and more!!! All new in boxes guaranteed. 2002-2003 Models! 250 pair minimum. A low $5.75 per pair! Adult and Children sizes. Call for details and pictures. F.O.B. FL. Mixed Clothing from Major Department Stores: Mixed Men's, Women's and Children's Clothing made up of New, Irregular and Store Returns. An enormous variety of sizes and styles. Your price is a low $1.49 per piece. Minimum order is 500 pieces. F.O.B. FL. 1,000 pieces at 99¢ per piece. New Baby Outfits: Brand new on hangers in plastic bags. Boys and girls, 2-piece outfits or 1-piece outfits available. Assortment of sizes, styles and colors. Your super price is a low $1.39 each. F.O.B. FL. New Packaged Adult DVD: Brand new Adult DVDs, packaged in their original boxes. A large variety of hundreds of different well known titles. A guaranteed money maker! Great for Ebay! These DVDs retail at $24.99-39.99. Your price is a low $2.99 per DVD. Minimum order of 250 DVDs. $2.49 special price over 1,000 pieces!!! F.O.B. FL. Take all at $1.75 each!!! "Memorex" Electronics: A good mixture of different electronics items that may include TV's, DVD Players, VCR's, Speakers, Fax Machines, Radios, Boomboxes, Microwaves, CD Players, Cordless Phones, Vacuums and more. A low $725 per pallet. F.O.B. FL. Children's Overstock Clothing: Overstock and Surplus Children clothing. Boys and Girls apparel lots may include shirts, pants, blouses, dresses and much more. A large variety of brand names, sizes, styles and items. Your great price is $1.49 each. F.O.B. FL. New Surplus Cover Girl Cosmetics: Brand name Cosmetics such as lipstick, nail polish, mascara, eye liner, creams and foundation. These brand new, never opened cosmetic items are packed in cases of 1,000 pieces. Your special price is a low $0.99 per piece. F.O.B. FL. General Merchandise Loads by the Pallet: A good mixture of different items from major Department Stores such as K#art, Costco and W#lmart that may contain toys, tools, houseware, domestics, softgoods, electronics and more. Your super price is a low $199 per pallet. Buy 5 pallets, get 1 free. F.O.B. FL. General Mixed Dollar Store Items: Surplus and Overstock New Merchandise. These items retail anywhere from $1.99-$7.99. Items may include Houseware, Gift Items, Toys, Cleaning Products, Hardware, HBA, Office Supplies & Stationary and much more. 1,500 pieces per pallet. Your special surplus price is a low 55¢ per item. Wow! 2 Pallets minimum. F.O.B. Florida. Computers/Laptops: Computers as low as $99. Laptops as low as $299. Printers as low as $10! Call for details! F.O.B. FL. New First Quality Electronics: A huge assortment of Surplus and Overstock electronics from major Department Stores. All items are in their boxes with all accessories and instruction manuals included. 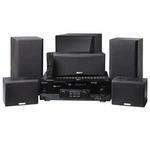 TV's, DVD Players, VCR's, Speakers, Boom boxes, Microwaves, CD Players, Cordless Phones, Vacuums, and more. Brand names may include Sony, RCA, Panasonic, Zenith, Aiwa, JVC, Daewoo and more. Your price is a low $1,595 per pallet. Minimum order is 2 pallets. F.O.B. FL. Also available Memorex Refurbished Electronics for $1,199 per pallet! New First Quality 22 x 28 Framed Pictures: Motivational (Success, Possibilities) and Impressionist (Monet, Picasso). At least 144 pictures per pallet for a super price of $995 per pallet. Available also by the truckload (24 pallets) for a special price of $21,995. F.O.B. FL. Great for Offices and Businesses! [Also available 16 x 20 and 8 x 10 pictures]. USS Enterprise carries an enormous range of Closeouts Merchandise and Salvage Merchandise. Our massive selection of Closeout Surplus and Below Wholesale Overstock includes Men's, Women's & Children's Apparel and Shoes, Electronics, Toys, Houseware, Computers, Art and many more Excess Inventory and Liquidated Distressed Goods. USS Enterprise wants a long and prosperous business relationship with you and your company. We have years of Closeouts and Salvage Surplus sales experience so that our clients can purchase quality merchandise with confidence and assurance. Call us today! USS Enterprise is your source for brand name closeouts. Add me to your Email List and send me USS Enterprise Specials Listing.